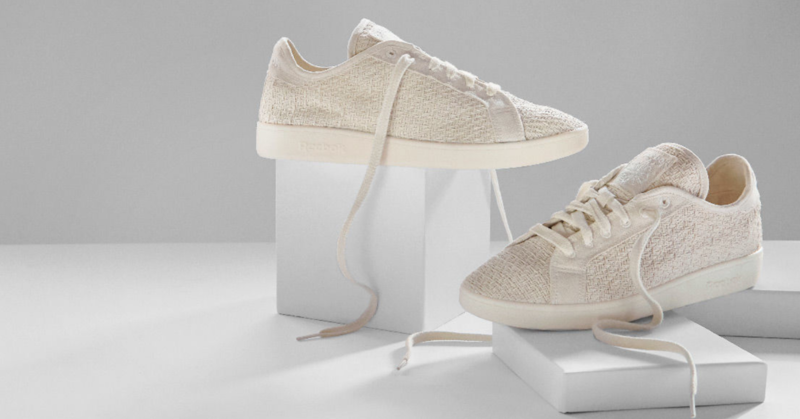 There's more to eBay than just your mom selling your old Beanie Babies from middle school. 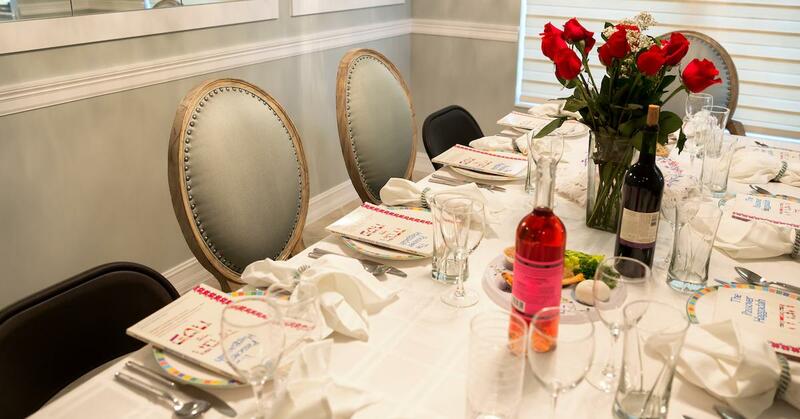 One man took a good eBay find and turned it into an entirely new lifestyle for himself. 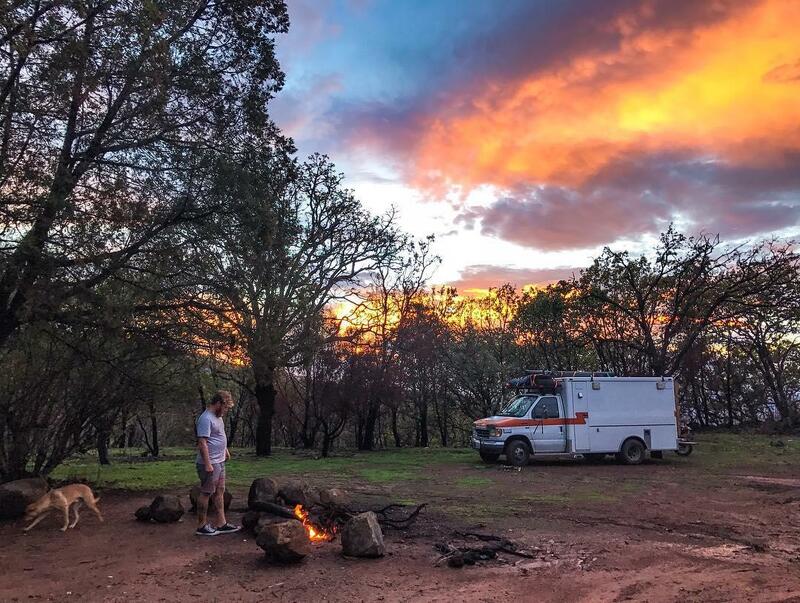 Ian Dow, a 33-year-old nomad from California, lives in an old ambulance he won in an auction from the online marketplace for used stuff in 2016. Now the adventurer travels the world in the unconventional set of wheels, spanning 69 countries so far, and chronicles his journey on social media. The renovation included the installation of teak floors throughout the vehicle, a collapsible hardwood table, a couch that folds out into a bed, a built in shelves to save on space, an outdoor shower, and even a sundeck on the roof to relax on and enjoy the incredible scenic views. 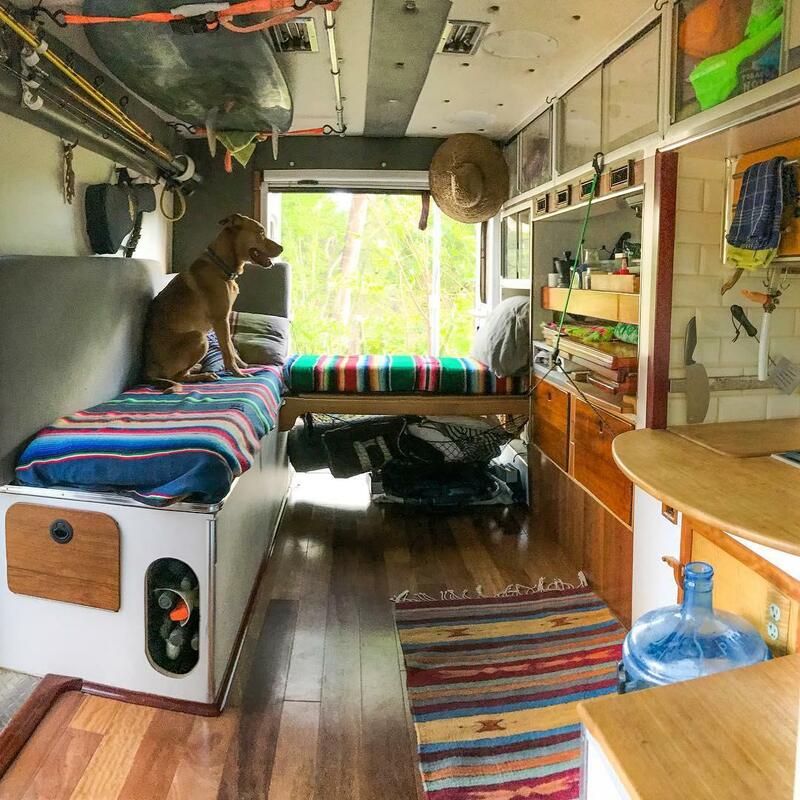 He purchased the 1994 Ford E-350 Osage Ambulance for $2,800 and immediately began the renovating it to make it a cozy home on wheels to make him both “comfortable and happy" while he traveled. In comparison to the Sprinter that he originally wanted to buy, the emergency vehicle was a steal. "Considering the Sprinter would have cost me $8,000, I felt like I got a screamin’ deal,” said Dow. “I finished it with materials I like." Dow doesn't travel completely alone. 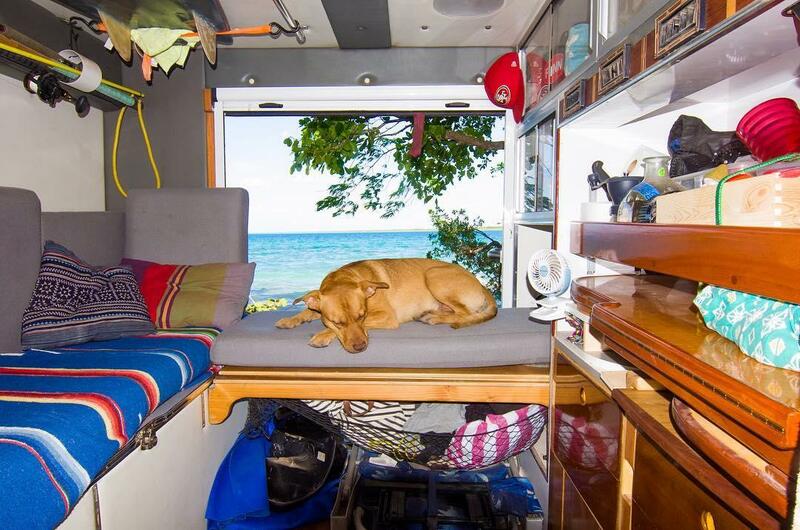 His dog, Dino, and friend Dylan Griffin share the tiny home with him as they travel together. The two friends had both recently gone through bad breakups and found solace in exploring the unknown together. “Dylan also recently was broken up with by his fiancé in Australia so we had a similar mindset for traveling together,” Dow told ABC News. 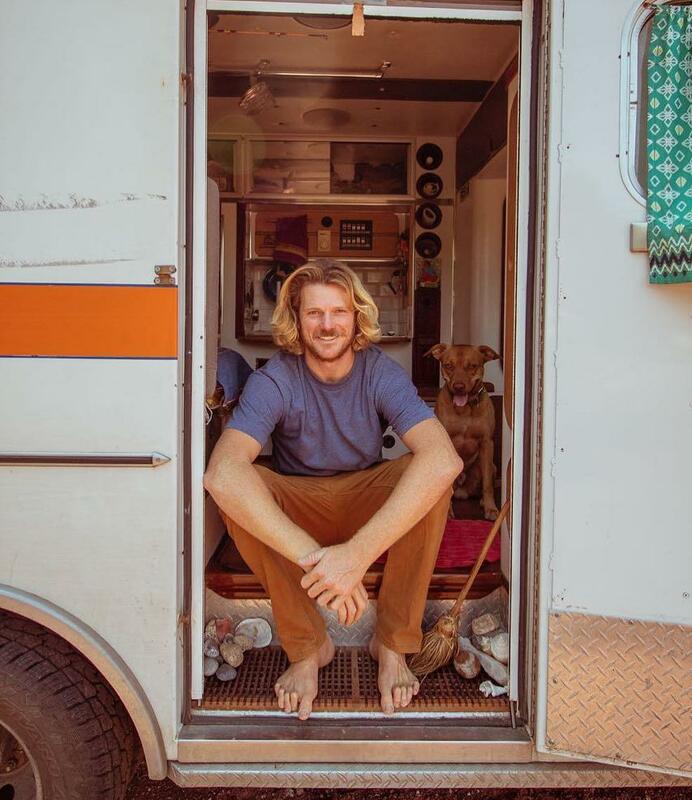 And though the idea of wandering around the world with your best friend sounds like a great idea, Dow admits there are drawbacks to the tiny home lifestyle. Despite the limitations to living in such small quarters, Dow shared in an Instagram caption why this lifestyle is perfect for him. "I always wanted a beachfront house to soak up beautiful sunsets and the salty spray of the ocean from my own home. 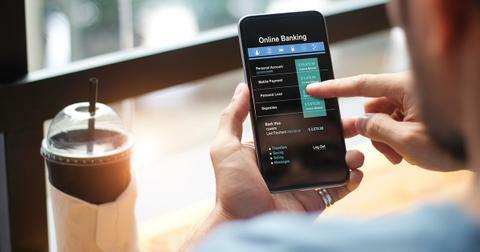 With my lifestyle and professional choices I knew I'd never be able to afford that reality, especially now as that dream developed about my home town in Southern California's inflated real estate market. I was wrong. All I had to do was think outside of the box and create that reality by abandoning the traditional thought of a home and to embrace my smaller, some what minimal and mobile reality. I love my little house and the beautiful places we've found together. This is another epic spot on the Caribbean coast just south of Hopkins, Belize. It's free and perfect for Dino and I," he wrote. Currently in Central America, Dow and Griffin are playing the adventure by ear with no set plans for where they might end up. Living as a nomad for 10 years now, Dow shared with ABC News that he's worked as everything from an art director to a music producer. "Life on the road is surprisingly cheap and I manage to survive with very little funds." And for those thinking of embracing a similar lifestyle? "Just do it," he said.